If you are planning a trip to Oakland you will not be disappointed. There is truly something for everyone in this eclectic city. 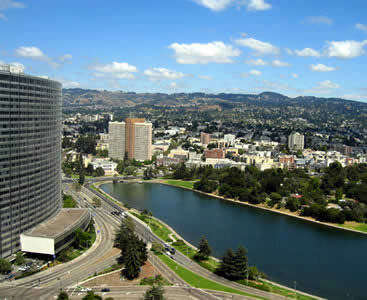 For starters, there is a lot to explore as Oakland is California’s largest city and covers 54 square miles. If you are the outdoorsy type you’ll love it here because Oakland is home to more than 80 parks where you can get out and see the natural landscape. Oakland also offers picturesque views of the Redwoods at the Redwood Regional Park. For religious oriented individuals Oakland is a great destination. It has over 600 temples and churches which represent a great number faiths. 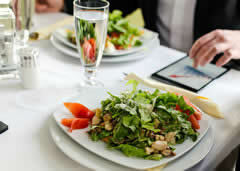 Oakland also boasts a huge variety of restaurants that serve a wide range of cuisines. A true melting pot, there are more than 125 distinct dialects and languages spoken in this city. One thing is certain, you will not find yourself without something to do in this great destination. 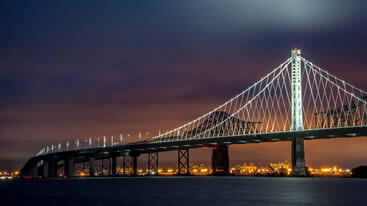 Oakland International Airport offers travelers access to both Oakland and the San Francisco Bay area. There are plenty of options for transportation to choose from which makes this airport an easy one o get in and out of. Execucar is a private car and SUV service offered by SuperShuttle for the traveler who wants a private service but doesn’t necessarily need a whole van. SuperShuttle in Oakland, CA offers great service and great prices for airport transportation. You can book your shared ride or private van in advance so to make it easier once you land. Owned by the Port of Oakland, the OAK Airport or the Oakland International Airport is located just a short distance from the south of downtown Oakland. This is one of the three international airports that can be found in the San Francisco Bay Area. Airports could be quite busy but still a source of utter boredom if you are in waiting. However, in order to keep up with the modern day entertainment options enjoyed by people, airports across the United States are improving themselves. The airport environment of today is quite different than how we knew it to be in the past. The Oakland International Airport is no exception. There are a lot of options for fun and entertainment within the airport and in the area surrounding it as well. These days, you will find four artworks of different mediums open for viewing at Terminal 2. for sports lovers, Metropolitan Golf Links are present right at the OAK Airport. The Oakland Aviation Museum is a great opportunity for those visitors who have a love for flying and all the other aspects associated with it. The Oakland Zoo is just situated less than 5 miles from the airport and is an amazing place to see if you have come to Oakland with your family and kids. For tourists who intend to explore more, the San Francisco Bay Ferry is a link to much more and located close to the airport. OAK Airport is not just a means of travel but a fun experience for all. The Oakland International Airport is about five miles south of downtown and is one of three main facilities within the San Francisco area. Because of this, traffic as well as crowds is usually spread out to where there isn’t too much congestion, but sometimes the worst happens. When it does, don’t be bothered by the frantic chaos – instead, have someone else worry about it in the form of a shared ride van from Prime Time Shuttle. Contact us to help you out of the facility so you can kickoff your vacation the right way. Go on a fun walk at the popular Oakland destination, Jack London Square, which is filled with popular entertainment as well as a beautiful waterfront. Enjoy the sunset here by reserving a private van from SuperShuttle, a trusted service in the area. When you get bored of the area, spend the rest of the night at a fantastic show, whether it is at the restored Fox Theater or the classic art deco style of the beautiful Paramount Theatre. Although a lot don’t know it, Oakland is home to some of California’s most placid and beautiful locations, especially when it comes to nature. When you visit Lake Merritt, you’ll feel a world away even though you’re just east of downtown. Spend the day going or a walk around the water by reserving a private sedan from local ground transportation providers, the vehicle’s timely and efficient nature giving you to have plenty of time to kill. If you’ve got children that want to be entertained, take the afternoon off and drive over to the storybook-themed amusement park, Children’s Fairyland. Known for being an incredibly family-friendly location with high-security as well as tasty eats, you’ll be amazed at the amount of activities there are to do. Get there today by book with us for deals on private SUVs, allowing each trip to be wise and comfortable. Eat at one of the most luxurious restaurants in the country by going to the incredibly opulent, Commis, which serves American food in a delightful minimalist setting. As soon as you step out of the restaurant, have your chauffeur pick you up in a stretched limousine only to drop you off at the next ritzy locale. Get a ride with luxury service provider and head out to Longitude on 14th Street, a tiki-style lounge that serves unbeatable drinks. For California art and a bevy of natural history on the area, visit Oakland’s Museum of California, a great place for big groups to learn big things. You can get there together by reserving a huge chartered and spending the afternoon sightseeing in a roomy and affordable ride. While you’re out, take the bus to Joaquin Miller Park, a gorgeous 500-acre recreation area that is host to interesting trails traveling deep into Oakland’s famous forests. This one of a kind city is the only city in the world that hosts a natural salt water lake fully enveloped within its boundaries, Lake Merritt. You can get out and take part in activities that range from lawn bowling to bird watching to boating and rowing. → Lake Merritt boasts 12 different spectacular gardens on site. You can stroll through any or all of them and explore their botanical treasure troves. The include a spectacular bonsai garden, community edible garden and so much more. → The lake was declared a wildlife refuge by mayor Samuel Merritt in 1870 and was the nation’s first such declaration. → You won’t have to worry about being here after dark, the lake is also partly surrounded by 126 lampposts and more than 3400 lights. The Port of Oakland is the home of Jack London Square, a popular tourist destination in Oakland. The square attracts many tourists and locals probably due to the fact that it is home to many exciting things. For those seeking a recreational destination, there is a lot to be enjoyed at the Jack London Square where the historic waterfront offers a lot of fun. Bustling with activity all night, the nightlife at the square is a sight to behold. → You can find an Amtrak Station, a bevvy of hotels, an eclectic mix of restaurants and all kinds of stores at Jack London Square. Every Sunday morning, there is a farmer’s market that is held between the retail stores. → The fact that Jack London Square serves both as a business and entertainment destination makes it a very popular destination both for entrepreneurs and business travelers and fun lovers and vacationers. Situated on the shores of Lake Merritt, Children’s Fairyland is a popular family destination park. It was opened in the year 2008 and it is an outdoor amphitheater with a seating capacity of approximately 215 people. Aesop’s Playhouse is a popular attraction in Children’s Fairyland. Talking Storybook Boxes which are activated by Magic Keys (available for purchase at the park) help fairy tales come to life at Children’s Fairyland. The park also has got some interesting rides. A few of which include a carousel, Ferris wheel and the Jolly Trolly which is a train. A trip to this park is certain to treat you to a memorable experience. → Being America’s first themed amusement park, Children’s Fairyland is without doubt a time-honored destination that is fun for the whole family. 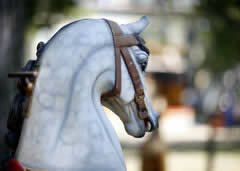 Children’s Fairyland constitutes 10 acres of small rides and play sets. → The park also hosts an Open Storybook Puppet Theater, one of the most notable theaters of its kind in the United States.